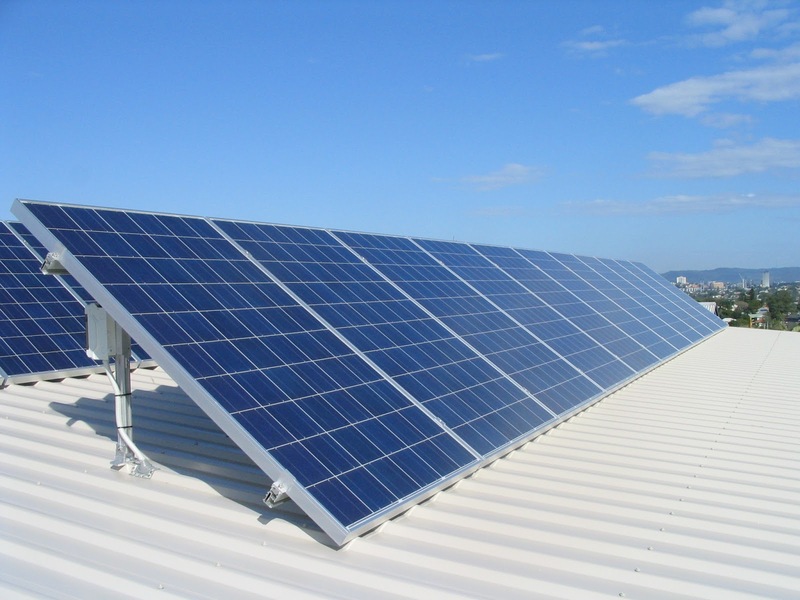 Solar Power will be a significant energy source & prices could be 10% lower than coal power prices by 2020 and help revitalize India’s energy sector, said a report released by consulting firm KPMG. With India making ambitious moves, the market penetration of Solar Power expected to be 5.7% (54 Giga Watt-GW) by 2020 and 12.5% (166 GW) by 2025. The report predicted with increase in solar generation the price could fall to INR 4.2 per kWh (kilowatt-hour) by 2020 and as low as INR 3.59 per kWh by 2025 which will be much lower than coal power. Solar power price declines have beaten the expectations since the beginning of 2015. In the ongoing NTPC solar park tender, solar prices have breached the Rs.5 kilowatt-hour mark and this is a landmark for the energy sector. Along with wind power, renewable energy could constitute a significant 20% of India’s lower power mix in energy terms by 2025. Pfizer regains pole position by acquiring Allergan in a $160B deal. Pfizer and Allergan are joining in the biggest buyout of the year, a $160 billion stock deal that will create the world's largest drugmaker. The deal is the latest and the largest to be aimed at helping an American company lower its taxes by reincorporating overseas, a practice known as a corporate inversion. The transaction would be structured as a so-called reverse merger, in which Allergan, the smaller of the two companies, would technically be the buyer. Pfizer will keep its global operational headquarters in New York but its legal domicile and principal executive offices in Ireland. Legacy Pfizer expected to lead the combined company which will be called Pfizer Plc, which would have more than $63 billion in combined sales and a product portfolio that includes Viagra, Celebrex, Botox , Juvéderm and about 110,000 employees worldwide. Under the terms of the all-share deal, Pfizer would essentially pay $363.63 for each Allergan share . Allergan shareholders would receive 11.3 shares of Pfizer for each share of Allergan they hold. Pfizer shareholders would receive one share in the combined company for each share they hold, but have the option to take up to $12 billion in cash for some or all of their shares instead. Pfizer Inc. Chairman and CEO Ian Read will serve in the same roles with the combined company while Allergan Plc. leader Brent Saunders will become president and chief operating officer. The combined company’s board would consist of 15 directors, with Pfizer’s 11 current directors and 4 directors from Allergan. After the transaction, Pfizer shareholders are expected to own about 56 percent of the combined company, with the remaining 44 percent owned by Allergan shareholders The combined entity expected to achieve more than $2 billion in annual cost savings over the first three years after the deal closes. Pfizer said that it expected the combined company’s adjusted tax rate to be between 17 percent and 18 percent by the first year after the deal is finalized. Last year, Pfizer’s tax rate was about 26.5 percent, and it is expected to be about 25 percent this year. By comparison, Allergan reported a tax rate of just 4.8 percent for 2014 and is expected to have a tax rate this year of about 15 percent. Pfizer, based in New York, has engaged in several large deals in recent years, buying Wyeth in a $68 billion deal and Hospira, a maker of generic treatments, for about $17 billion this year. Allergan was created through several mergers since 2012 that included the drug makers Forest Laboratories, Actavis and Warner Chilcott. The deal would enable Pfizer to surpass Novartis AG and regain the industry's top spot. Marriott books Starwood to create biggest hotel company !!!!!! US-based Marriott International announced Monday that it will acquire Starwood Hotels & Resorts Worldwide in a $12.2 billion deal that will catapult it to become the world’s largest hotelier by a wide margin. The two companies had combined revenues of nearly $19 billion in 2014 and currently have 5,500 properties and about 1.1 million rooms worldwide. The combined company will dwarf number-two global hotelier Hilton, which has 4,500 hotels and 735,000 rooms. The agreed merger unites Marriott brands, which include Ritz-Carlton, Renaissance,JW Marriott, Fairfield Inn and Starwood marks like Westin, St. Regis, W and Sheraton. The merger will give Marriott 30 brands and more leverage with corporate travel departments. Frequent business travelers will also be closely watching the deal. Starwood has a beloved frequent guest program with partnerships with American Express, Delta Air Lines and Uber. Marriott has a much larger programme with partnerships with Chase, United Airlines and several others. 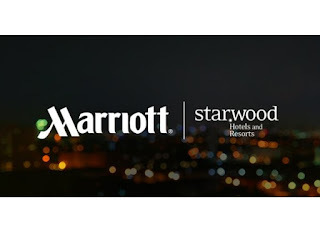 Starwood shareholders will receive 0.92 shares of Marriott International, Class A common stock and $2.00 in cash for each share of Starwood common stock, a joint statement from the companies read. Starwood shareholders will separately receive about $7.80 per share from a transaction set to close prior to the Marriott-Starwood merger closing — the spin-off of the Starwood timeshare business and its merger with Interval Leisure Group, which has an estimated value of approximately $1.3 billion. Marriott said it expected one-time transaction costs of $100 million-$150 million related to the deal. The company expects to deliver at least $200 million in annual savings in the second full year after closing.